Celebrate July 4th at the National Archives, home of the original Declaration of Independence! Click here to find out more information about all things July 4th in Washington, DC. Join us on Facebook, Twitter, Instagram, and Tumblr as we celebrate #ArchivesJuly4! Boo and cheer as historical re-enactors portraying John and Abigail Adams, Thomas Jefferson, Gen. George Washington, and Private Ned Hector read the Declaration of Independence. Enjoy a performance by the U.S. Army 3rd Infantry “The Old Guard” Continental Color Guard and Fife and Drum Corps. Sing along with the National Anthem. Explore family activities in the Boeing Learning Center. 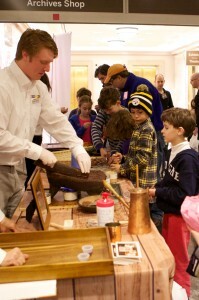 Taste historic American Heritage® Chocolate in the Visitor Orientation Plaza. 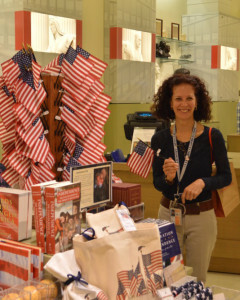 And pick up patriotic gear and American-made facsimiles of the Declaration at the National Archives Store, where proceeds support educational initiatives at the National Archives year-round! Prior to these festivities, the National Archives Foundation hosts a “Promise of America” breakfast for our supporters, with educational tours of the Charters of Freedom in the Rotunda and family activities in the Boeing Learning Center. Join us by becoming a Washington-level member today! July 4th at the National Archives is made possible in part by the National Archives Foundation with the generous support of John Hancock and Dykema. In-kind support provided in part by American Heritage® Chocolate, Southwest Airlines, and Derek Brown.